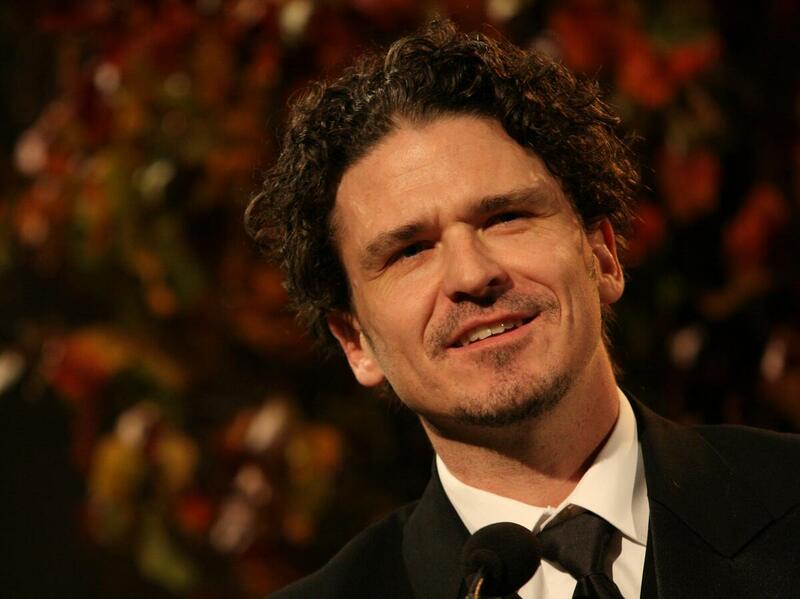 Book News: Author Says Dave Eggers' New Book Rips Off Her Work : The Two-Way Also: Sherman Alexie drinks the ebook Kool-Aid; Karen Russell on her new "genius" status; Marcela Valdes on YA novels and the economy. Dave Eggers at the 2009 National Book Awards in New York. Kate Losse, author of The Boy Kings, a memoir about working at Facebook, has accused Dave Eggers of "ripping off" her story in his new novel The Circle, which is also set in the tech world. She wrote in a blog post, "From all appearances, it is an unnervingly similar book, and I wrote it first (and I imagine mine is more authentic and better written, because I actually lived and worked in this world and am also a good writer)." Her claim has attracted a fair amount of attention, including a sympathetic article on Jezebel arguing that it "illustrates industry bias in terms of what and who the media thinks is worthy of coverage." Losse told The Atlantic Wire that she hasn't actually read Eggers' book — which has not yet been published, though an excerpt appeared in The New York Times -- but that several plot points appear to match up. She added (not, perhaps, helping her case), "If you say 'Mae Holland [the protagonist of Eggers' novel]; out loud it sounds like the same phonetic structure as my name. Just similar enough to echo my name without using the same letters." So far, Eggers hasn't publicly commented on Losse's allegations. Monthly ebook subscriptions in the vein of Netflix (for movies) or Spotify (for music) give readers access to a huge variety of content for a flat monthly fee, and they're beginning to catch the attention of retailers and publishers. Last month saw the launch of Oyster, which gives readers access to around 100,000 ebooks for a monthly fee of $9.99. On Tuesday morning, the digital library and document sharing platform Scribd announced it is partnering with publisher HarperCollins to start a monthly subscription service that charges $8.99 a month and provides access to "the majority of the HarperCollins US and HarperCollins Christian backlist catalog for Scribd's digital book subscription service," according to the press release. (Of course, readers often can borrow thousands of ebooks through local libraries, and books in the public domain can be downloaded for free.) In a prescient post last spring titled "Prepare Your Eyeballs: E-Book Subscriptions Are Coming," Roberto Baldwin of Wired wrote: "As the sale of e-readers and e-books continues to rise, demand for all-you-can-eat streaming services will grow. The publisher and bookseller who gets to market first will have the advantage of tying bibliophiles to its ecosystem." Absolutely True Diary of a Part-Time Indian author and erstwhile enemy of ebooks Sherman Alexie announced in a YouTube video that he would be releasing his entire backlist electronically. He said, "I still have serious issues with the politics and economic philosophies involved in much of the electronic book world but I'm also vitally interested in reaching more of my readers and reaching a younger generation of readers who are more technologically savvy and tech addicted, and in order to reach them I have to do this." Karen Russell, author of Swamplandia! and Vampires in the Lemon Grove, spoke to The New Yorker about being awarded a MacArthur "genius" grant: "Every day, I am mystified and grateful that my books have found any readers whatsoever, given that they feature alligator-wrestlers, wolf-girls, and ghosts. I take that monstrous crew seriously, of course, and really labor to use elements of the fantastic to explore some of the terrors and fantasies that govern our lives, and that have shaped our history and our interactions with our families and our environments, but I do find that I blush when telling polite strangers my own book titles. Not infrequently, people assume that I am either a children's author or the author of monster erotica (never both at once, though, at least so far ... although when this grant runs out, maybe that's a plan)." For NPR, Marcela Valdes writes that themes of unemployment and economic crisis have "invaded" young adult literature: "Financial stress in young adult novels may be nothing new: Louisa May Alcott's 1868 classic Little Women opens with 'Christmas won't be Christmas without any presents.' But to me it seems clear that the economic anxieties keeping today's adults awake at night — income inequality, food insecurity, downward mobility, winner-takes-all competition — have also invaded the literature of their children."